Our readers are well acquainted with our love of the Inn at Little Washington in Virginia, which we have been writing about as our single favorite property in America for more than half of the years it’s been in existence. 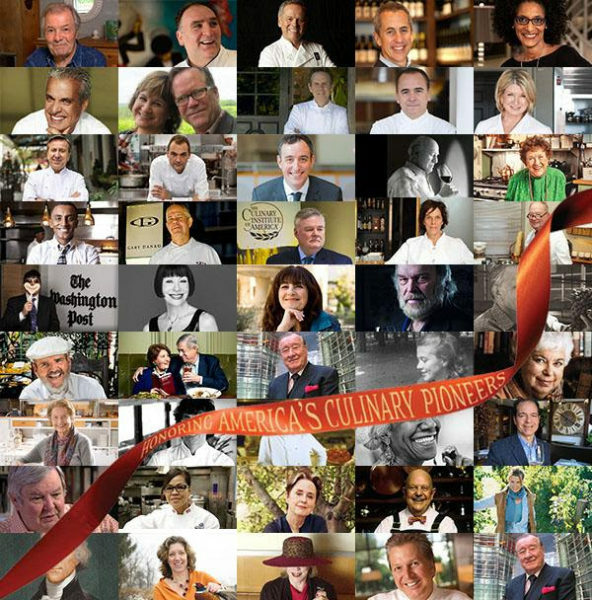 This we know as it was announced that the Inn is celebrating its landmark 40th anniversary this year — including with a once-in-a-lifetime dinner on Saturday, June 16th, at George Washington’s Mount Vernon. 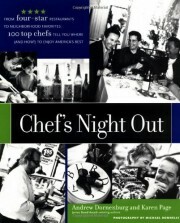 If you haven’t been in the loop about the festivities, you can read about them at http://﻿theinnat40.com. 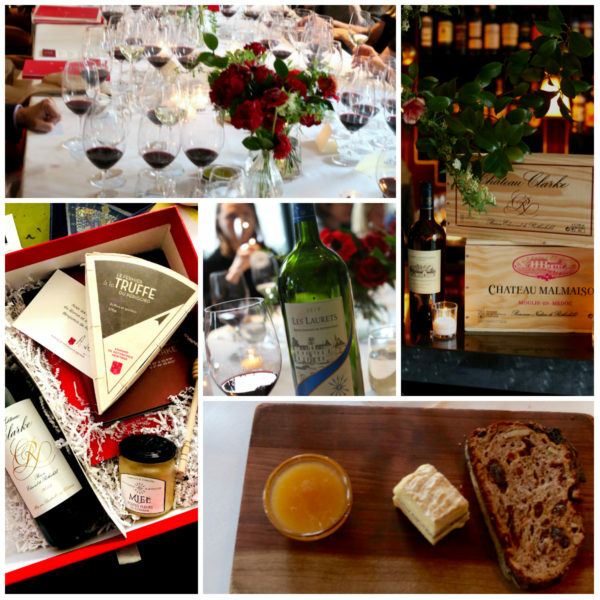 As wine writers, we’ve had the pleasure and privilege of being hosted for wine events all around the world. The vast majority of them have been exclusively for wine journalists. 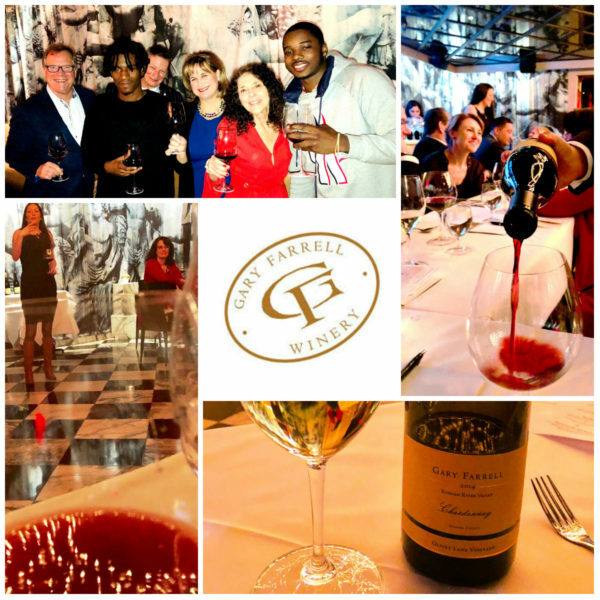 But the other night, Gary Farrell Winery‘s winemaker Theresa Heredia and general manager Nancy Bailey were in Manhattan and we were invited along with a fellow wine writer and her guest to attend an event primarily focused on consumers. Where else could we meet hip-hop artists and video producers — not to mention an entire lacrosse team — as they enjoyed some of their first wines from California’s Russian River Valley? In addition to the award-winning 2015 Russian River Chardonnay, other standouts of the evening included the 2014 Gary Farrell Olivet Lane Vineyard Chardonnay ($45), the earthy-noted (with hints of mushroom, soy sauce, and tobacco) 2015 Gary Farrell Rochioli Vineyard Pinot Noir ($80), and the black-fruited 2014 Gary Farrell Maffei Vineyard Zinfandel ($50). While the minty-noted Zinfandel was paired with a bittersweet chocolate dessert, it could have held its own against any savory mushroom or meat dish with ease. Gary Farrell Winery is located at 10701 Westside Road in Healdsburg, California’s Russian River Valley, and produces small lots of Burgundian-styled, varietally expressive Chardonnay and Pinot Noir. 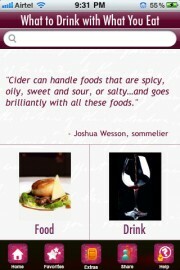 garyfarrellwinery.com. 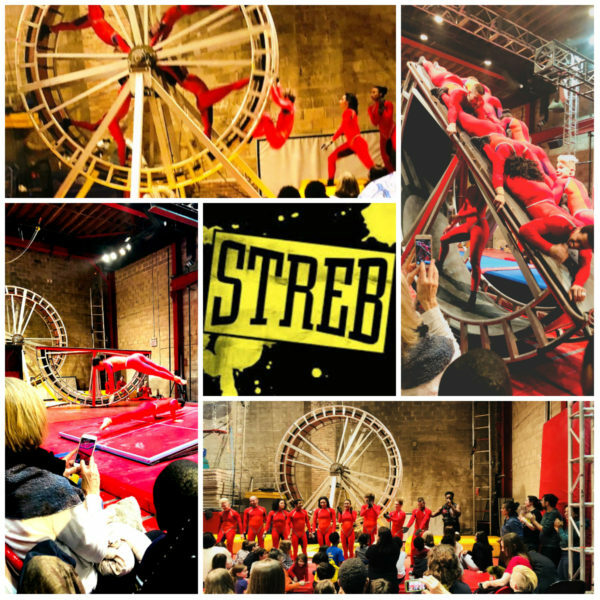 Four shows remain: Saturday, March 31 at 5pm; Sunday, April 1 at 3pm; Saturday, April 7 at 5pm; and Sunday, April 8 at 3pm. Our guide to dance performances happening this weekend and in the week ahead. BALLET NACIONAL DE ESPAÑA at New York City Center (March 2-3, 8 p.m.; March 4, 7 p.m.). The flamboyant Ballet Nacional de España returns to Midtown for the first time in nearly two decades to open this year’s Flamenco Festival at New York City Center. 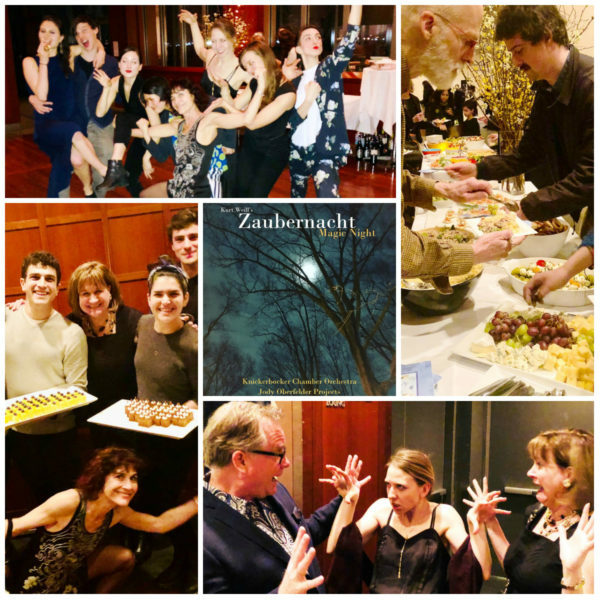 We served on the committee for Jody Oberfelder‘s March 14th gala celebrating the premiere of “Zaubernacht” at the Museum of Jewish Heritage in Manhattan — which turned out to be a magical night indeed. I saw video of a performance that was done in London. I was like: Oh god, I don’t want to do this piece. They followed it note for note and had a dancing stove. It was really cutesy. I tried to invent some new characters. It’s very much a mash-up of different fairy tales. To Its Tagline “Wines. Hospitality. Nature.” May We Propose That Edmond de Rothschild Heritage Add “Cheese.”? 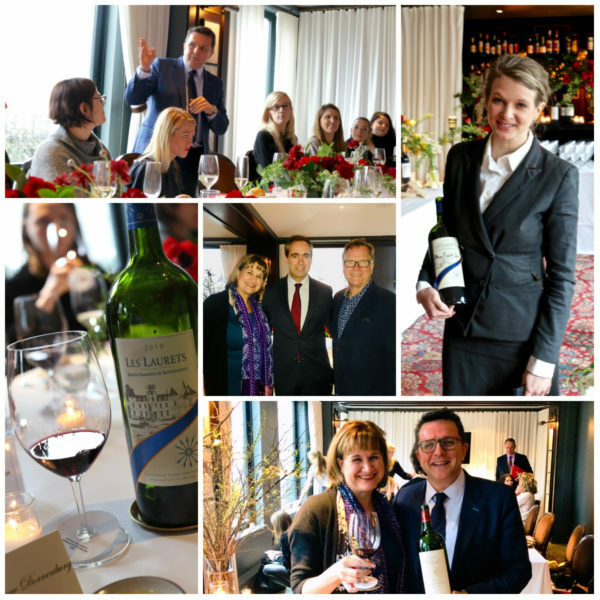 Edmond de Rothschild Heritage had us enraptured at a wine tasting lunch at The NoMad on Friday afternoon. However, we were surprised that our rapture wasn’t reserved exclusively for its wines — which included an elegantly restrained 2017 Rimapere Marlborough Sauvignon Blanc (and were told we were the first in the world to taste the new vintage) and a 2016 Merle Blanc de Chateau Clarke Baron Edmond de Rothschild Bordeaux (a compelling lemon and grapefruit-noted blend of 70% Sauvignon Blanc, rounded out by Muscadelle and Semillon Gris). However, we turned out to be just as gaga — if not more so! 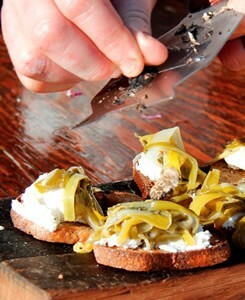 — over its Perigord black truffle cheese. As our lunch’s gracious host Baroness Ariane de Rothschild explained to us, all it took was one family member (her father-in-law) who mourned the sad state of the French cheeses he’d been tasting — and knew he could do better, leading him to pronounce, “I’ll make my own!” His passion led him to craft Bries de Meaux cheese, half it lengthwise, and fill the center with a mixture of black truffles and triple-creme cheese. The result — Le Fermier a la Truffe Noire du Perigord — is one of the most jaw-droppingly delicious cheeses we’ve ever tasted. Paired with the family’s own Miel Toutes Fleurs du Domaine, no one needed dessert (which the restaurant whisked away too quickly for us to taste anyway). While not yet available in the United States, fortunate cheese lovers should definitely hope for a taste during their next visit to Bordeaux. P.S. This post is merely Part I — Part II will go into the wines further. 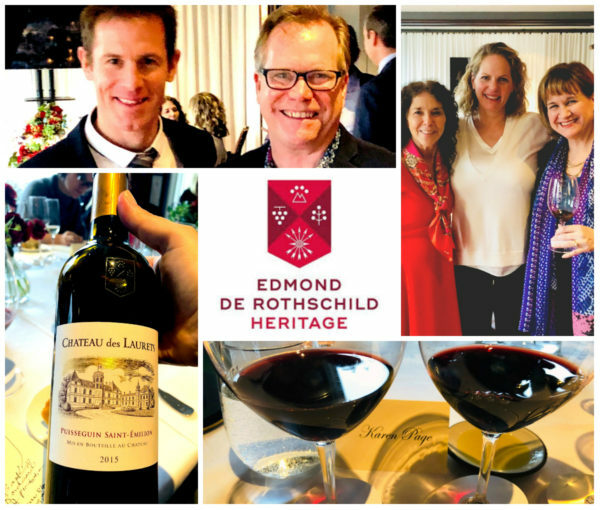 Oh, yes, never forget that Edmond de Rothschild is still perhaps best known for estate red wines — and if you’re ever lucky enough to stumble across the 2001 Chateau Clarke Baron Edmond de Rothschild Listrac-Medoc, with its notes of leather and smoke, you just might remember it for a very long time. 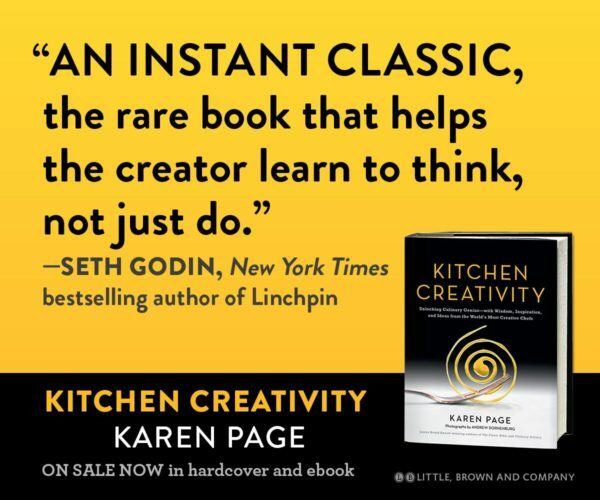 It’s always a joy to be interviewed by a really thoughtful, passionate radio host — and former restaurateur Evan Kleiman is one of the most thoughtful and passionate radio hosts by whom we’ve ever had the pleasure of being interviewed. 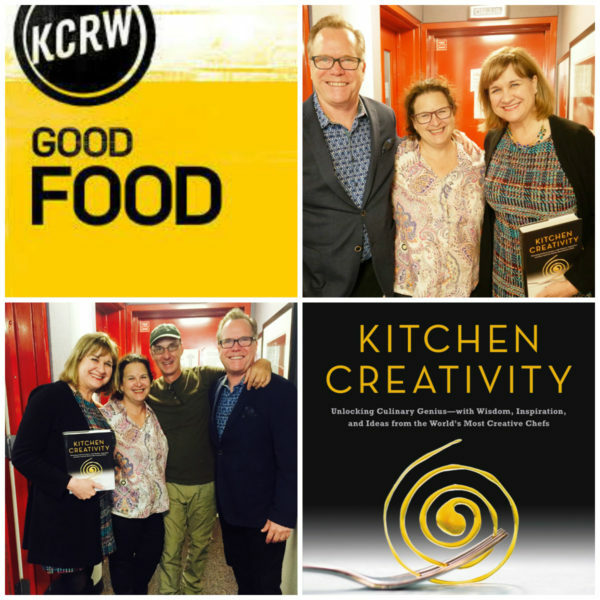 She’s hosted KCRW’s “Good Food” show for more than two decades now, bringing out the insights of thousands of food experts and chefs through weekly conversations on this must-listen radio show and its podcasts. We’re looking inside the modern home kitchen. 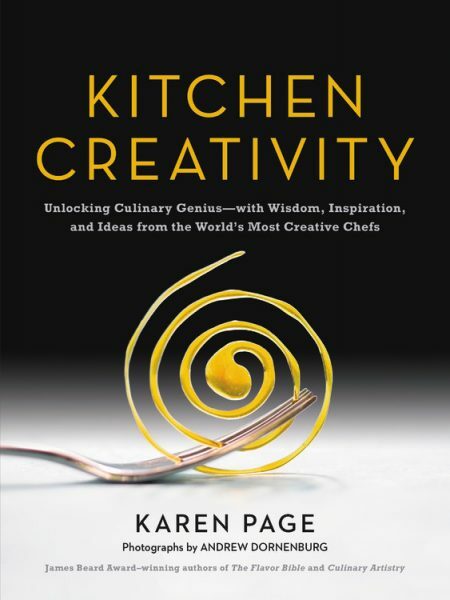 Cookbook authors Karen Page and Andrew Dornenburg are unleashing creativity. Deb Perelman looks back on Smitten Kitchen and talks everyday meals. 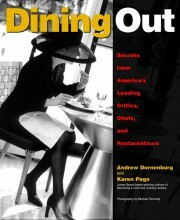 Amy Trubek says home cooking has come a long way. And food historian Rachel Laudan explains why ‘easy cooking’ is far from it. 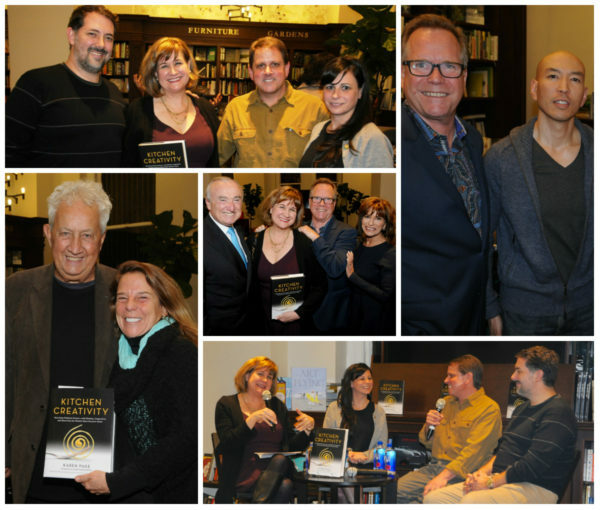 What was the most transformational moment in modern gastronomic history? 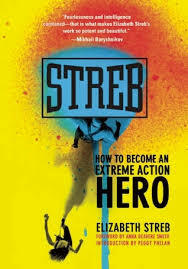 What can we learn from those who were in the room where it happened? 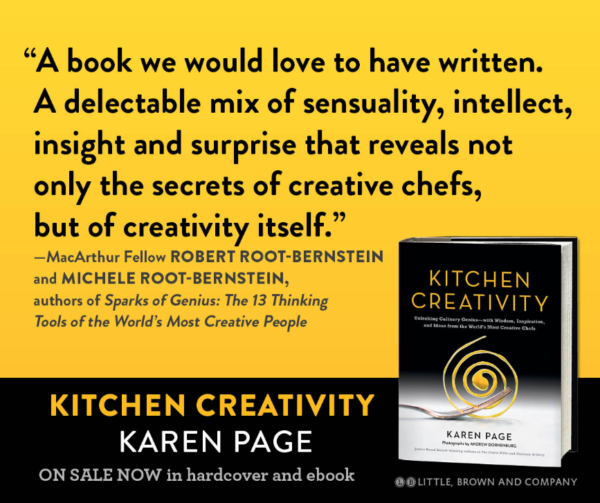 How can we apply the lessons of the world’s most creative chefs to make ourselves more creative, whether in the kitchen or beyond? 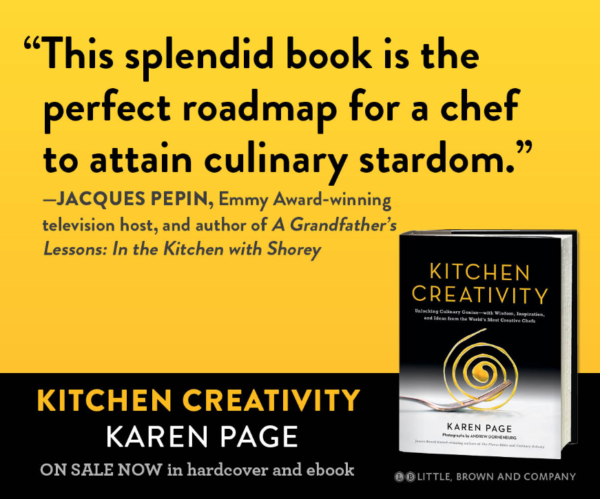 You’ll hear insights into the creativity of chefs like Ferran Adria (3:00), Rick Bayless (9:41), Daniel Boulud (8:22), Jeremy Fox (1:57), Daniel Humm (10:47), Eric Ripert (10:05), Michael Scelfo (5:38), Joshua Skenes (10:40), Jacques Torres (3:00), and more. 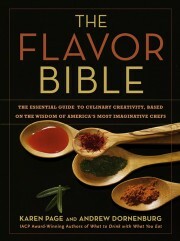 And you’ll learn our resounding answer to Evan’s provocative question as to whether a one-of-a-kind book like KITCHEN CREATIVITY would even have been possible were it not for the conversations that were started in books like BECOMING A CHEF, CULINARY ARTISTRY, WHAT TO DRINK WITH WHAT YOU EAT, and THE FLAVOR BIBLE. – Karen has celebrated her birthday every recent May with “CBS This Morning” legal analyst Rikki Klieman (wife of former NYPD Commissioner Bill Bratton, who was also in attendance at Rizzoli) at Gramercy Tavern. 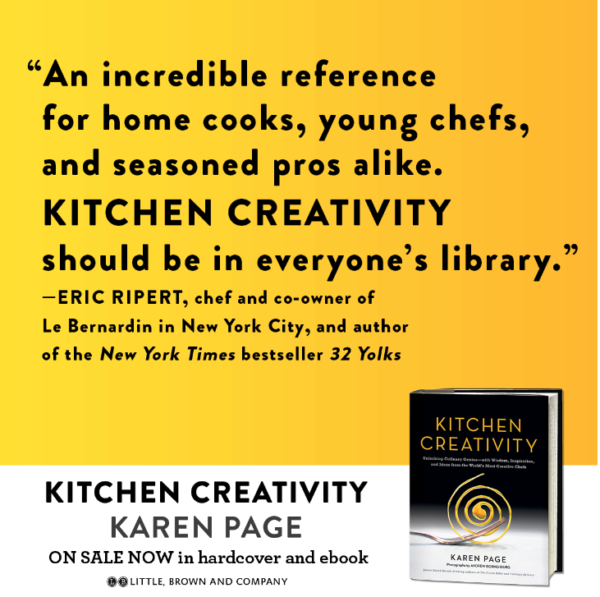 – The Ayurvedic chef-restaurateur featured in KITCHEN CREATIVITY and in attendance at Rizzoli was Divya Alter of the acclaimed Ayurvedic restaurant Divya’s Kitchen and the Ayurvedic cooking school Bhagavat Life in Manhattan. 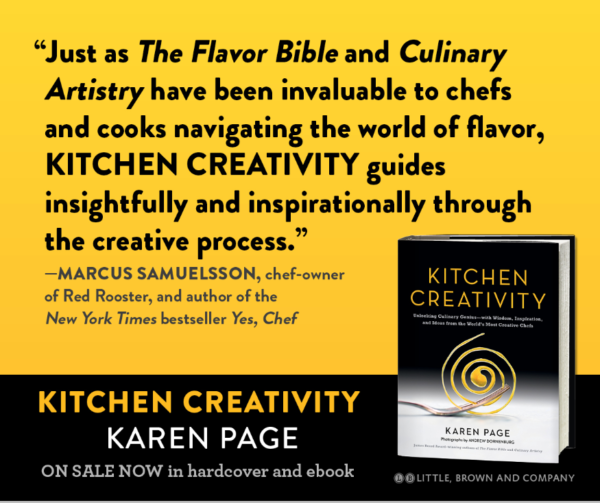 KITCHEN CREATIVITY was named one of the best cookbooks of 2017 in media from Forbes to The Washington Post, and ranked by EatYourBooks.com as the #2 non-recipe food book of 2017. 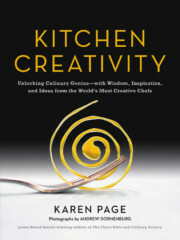 It won the 2018 Gourmand World Cookbook Award for Food Writing – U.S.
Moderator Karen Page is the author of KITCHEN CREATIVITY. 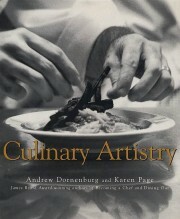 Amanda Cohen is the chef-owner of Dirt Candy in New York City, and the author of Dirt Candy. 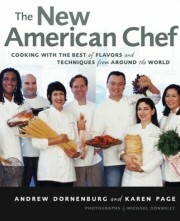 Damon Baehrel is the chef-owner of Damon Baehrel in Earlton, NY, and the author of Native Harvest. 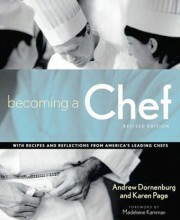 Michael Anthony is the chef-partner of Gramercy Tavern in New York City, and the author of V is for Vegetables. Last year’s winner of Gourmand’s Food Writing award for the USA was “Top Chef” host Padma Lakshmi for her memoir Love, Loss, and What We Ate. 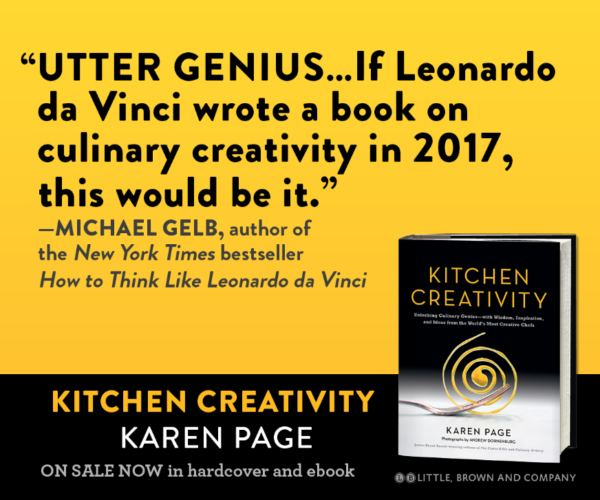 Our heartfelt thanks to everyone who contributed to the creation of this book — including everyone at our publisher Little, Brown, especially editor Mike Szczerban, not to mention 100+ of the world’s most creative chefs whose wisdom, inspiration, and ideas are featured in it — and everyone at the Gourmand World Cookbook Awards for recognizing it. Thank you all so much! 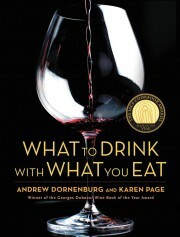 The Gourmand World Cookbook Awards were founded in 1995 by Edouard Cointreau. 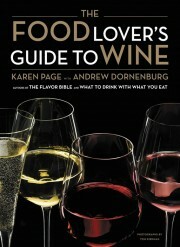 Every year, they honor the best food and wine books, printed or digital, as well as food television. 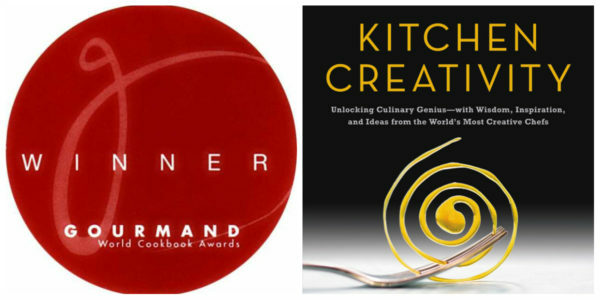 Books from 205 countries participate in these prestigious awards, the only international competition for culinary literature. It is free, and open to all languages. With the huge network created around the Gourmand Awards, Edouard Cointreau decided to launch the Paris Cookbook Fair in 2010. 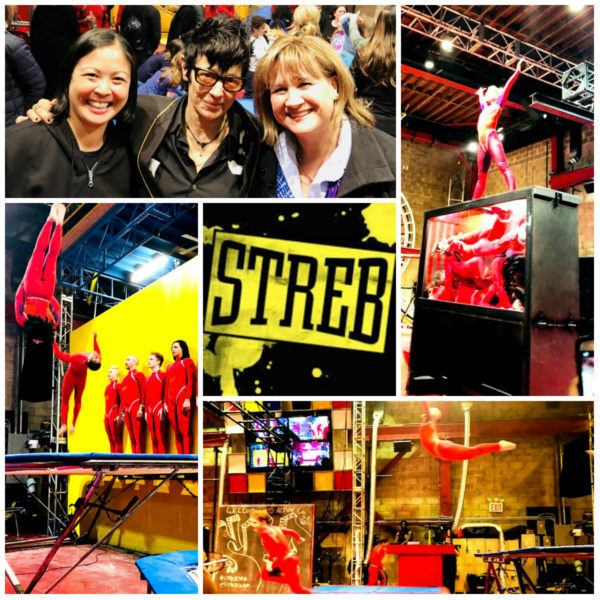 After three years at Le Centquatre, the fair moved to the Carrousel du Louvre in 2013, and Beijing in 2014. 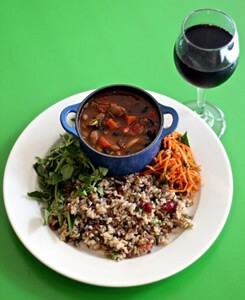 Since then, the World Cookbook Fair takes place at the Frankfurt Book Fair. 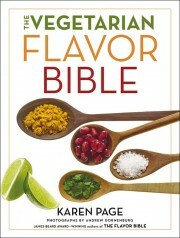 To learn more, visit cookbookfair.com.